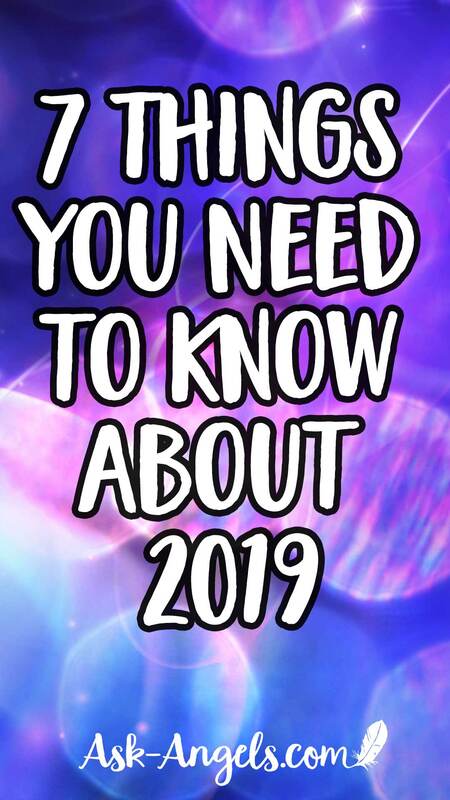 7 Things You Need to Know About 2019 – Energetic Influences of the New Year! 2019 New Year Energy Update! Happy 2019! In this post, we’re going to look at the key energetic influences and themes you need to be aware of to make the most of 2019 to call forth positive change, advancement, personal growth and fulfillment in your life. 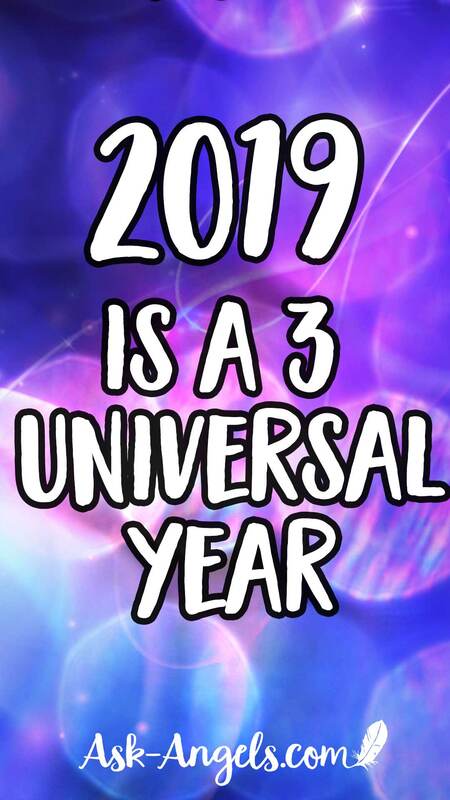 So, the first thing to be aware of is the numerology of 2019, and specifically, the Universal Number which for 2019 is a 12, or 3. The universal number is calculated by adding all the digits together 2+0+1+9 = 12, and then compressing this digit down to one numeral which is 3. Entering into 2019, we’re exiting the energies of 2018, whose universal number was an 11, a master number, signifying a year of initiation and transformation. Now we’re moving into this 3 year which exemplifies creativity and self-expression. So in 2018, you might have had a lot of experiences stripping away what no longer serves you in order to adjust your course and adjust your trajectory to bring you to this point in right here and here. Now in 2019, or you have a tremendous opportunity to step into more of your authenticity, creativity, and to access your Divine Feminine wisdom (whether you are male or female). This is true from the sense of you embodying the higher light of your spirit, the divine truth of you as a spiritual being… And bringing your higher truth and authenticity into every area of your life. Then through being authentic, through being in your truth, you will have many doors of opportunity which open to you. And a plethora of creative nudges, inspiration and intuitive promptings to help you move through the series of doorways that present so you can truly align with a greater sense of your authentic purpose. Aligning with your highest authenticity, of course, aligns you with greater joy, greater love, greater abundance and greater fulfillment. When you receive the creative inspiration and anchor it into your life through action, one step at a time, you can tremendously benefit from this creative influx, to not only improve your own life but to make a difference in the highest interest of all… Across the world, for the planet, and for humanity. Ultimately, we each as individuals are being presented with opportunities for transformation through anchoring the higher light of spirit and more fully reconnecting with the higher realms of spirit through conscious expansion. Through this we can then bring higher levels of awareness and spiritual truth into our physical lives, where we're improving our lives as individuals, growing, developing personally moving into more of the Divine authentic truth of who we each are as individuals, so that together as one, we are creating waves of positive change across the planet. The second key energetic influence of 2019 is that there is a powerfully supportive Earth Energy available. If you look at the Chinese astrology for 2019, you can see that this is the year of the Earth Pig. 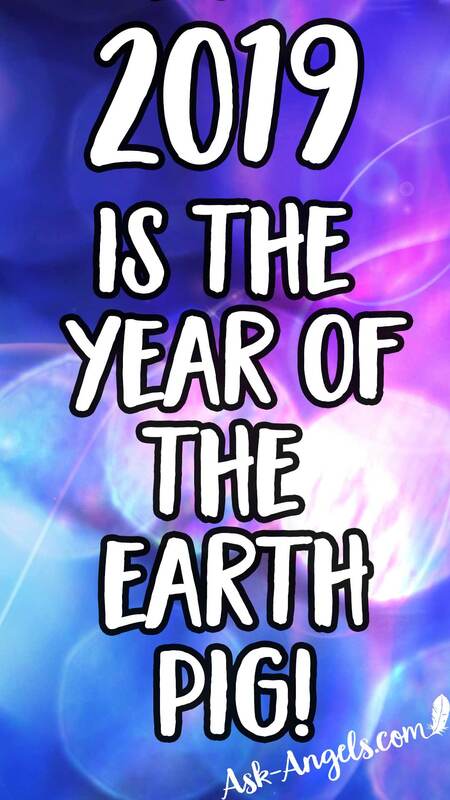 And so the earth energy is going to be extra strong this year, and also so important and so supportive for you in making the most of the year…. But also to tuning into and feeling the crystalline perfection that the awakened earth carries and holds and that through connecting with that can help you to connect you with healing, with inspiration, and with creativity so that you can then anchor and bring coherent crystalline energy into your own life. The Earth energy also brings the reminder that it's so important to take care of your physical body. Yes, you are a spiritual being, but you are in the physical body by no mistake, and there's so much learning, growth, possibility, and service work available to you as a physical being. And so, this year, remember to honor your humanity. Honor your physicality. Prioritize taking care of your physical body, paying attention to what you're ingesting, and what you're putting out. Being mindful of what are you eating. Are you staying hydrated? Are you ingesting fresh vibrant fruits and vegetables filled with nutrients, vitamins, and minerals that support your physical form, or are you ingesting toxins? Be mindful about taking care of your physical form, because there's an opportunity to begin to shift and to come into greater health and wellbeing this year in a way that's grounded and balanced. On the other hand, is the energy you're exerting and putting out. Know that a big part of taking excellent care of your physical form is movement and exercise. There’s so much benefit in exercising, whether that’s walking or hiking in nature…. Or doing yoga, stretching, taking a fitness or dance class, or lifting weights. Even when you’re exercising indoors, and not out in nature, the connection you’re cultivating with your physical body through exercise is a powerful way of harmonizing the earth energy within you, and this serves you in raising your vibration. When you raise the vibration of your physical temple, you're then able to embody a higher level of your divine consciousness through your physical human being. Finally, on the topic of earth energy, there is an opportunity this year to cultivate a greater sense of sustainability. Pay attention to how you can harmonize your relationship with the Earth because when you do, know that there's so much healing, wisdom, blessing, and expanded consciousness that the earth energy, that Gaia, Mother Earth can help you to connect with this year. The third energetic influence of 2019, that really comes about through your stepping into more of your authenticity, and through staying grounded present center in the moment, is that there's a tremendous opportunity for spiritual progression. Through a commitment to your spiritual growth this year, you really can consistently make progress on your highest spiritual path in accessing higher levels of awareness and accomplishing your true divine sole mission and purpose, which is multifaceted. Making progress on your spiritual path is always accomplished from within the present moment. It is from within the present that you're able to receive creative inspiration, anchor it, and then take action upon it to create blessings in your life experience… And to make progress in alignment with your purpose. There's a big opportunity for entrepreneurial ideas to be grounded and built upon this year, even if you have a job, what is that side project you’re drawn to? What is your passion project? What are you excited about that you want to create and bring into to the world that excites and uplifts you, and that benefits and supports humanity and all? This intersection of your excitement and being of service is the area where you can really make progress this year through by keeping it in focus, holding on to that intention, being aware of that intention, and then also releasing the outcome and allowing the divine to line things up for you in a way that's even better than you expect. When you’re aligned with your authenticity and taking action in the direction of being of service in alignment with your inner guidance, doors have a way of opening for you… And then when you step through those doorways, pay attention to the new creative ideas and inspirations that appear to continue to guide you further, so you can keep stepping up and making progress in accomplishing your purpose and as a result attaining greater fulfillment, abundance, joy and love as you move on the path of your highest authenticity. Authenticity is really key. It's about your creative self-expression, not trying to be like another… Rather, more clearly realizing, recognizing and redefining who you really are, why you're really here, how you can really be of service in a way that you enjoy. And when you align with that intersection, abundance, magic, growth, and advancement have a way of beautifully aligning on Divine time. It is also important to hold yourself accountable so you can recognize whether you’re moving in the direction of your goals or falling into distraction. Pay attention to how you’re using your time, maybe you're wasting a lot of time on social media, or any other area, that you could reallocate towards working on your mission and purpose? Maybe you are overly structuring your time so that you don't have the opportunity for creative inspiration to emerge, or maybe more structure would benefit you? Pay attention to time how you're using your time, how you can use your time to support you in accomplishing your goals and intention. The fourth energetic influence that I think you should know about in 2019 is that there is going to continue to be influxes of light and surges of crystalline energy and awakened consciousness. As a result, more and more people are going to begin waking up. This may lead you towards having opportunities to expand your connections with new soul friends and family and perhaps to deepen relationships with some of your preexisting friends and family who are now going to be arriving at this level of consciousness where you can deeply connect with them and talk about the deeper underlying themes that are happening in the world beneath the surface of mass consciousness, but are bubbling up as more and more people become aware of them as more and more people wake up. This is also a tremendous opportunity for those of you who are lightworkers and way-showers, spiritual teachers, authors, YouTubers, or bloggers… This is your opportunity to be of service, to meet people who are waking up to share what you've learned, and how you've grown, not from a position of a guru or an authority, but from the perspective that we are all one human family and we have so much that we can learn from each other, in order to all grow and raise the platform, and level of the collective consciousness of humanity. So there's an opportunity this year for you to lead by example, through your presence, through your mindfulness, through making the time for your spiritual practices, through keeping your energy clear and bright. Leading your friends and family members who are just now waking up through the light and clarity you choose to resonate with. That mindfulness is going to become more and more mainstream this year. So, this is a part of what is going to help more people to wake up… And this is also something that’s tremendously supportive for everyone – for people who are just waking up, as well as for people who have been awake on a spiritual path for a long time. There's so much value in becoming aware in the present moment, being aware of your thoughts, and observing where you're thinking and acting and alignment with your highest core intentions, and with what you really want… And where you’re not. Observing where you're consciously choosing what you’re focused on creating, and where you are habitually reacting with negative thought patterns or default triggered reactions based on previous experiences and subconscious triggers. This is also about becoming aware of your feelings, your actions and your impulses to action… Becoming aware and then consciously choosing positivity and equanimity. So ask yourself, how can you become more mindful in your life? Find the space between your thoughts and know that when you lovingly retrain your mind to be present, and to observe, there's so much inspiration and guidance that you can then tune into… And not only subconsciously, because when you're mindful, you're also then able to recognize what thoughts are yours, and what thoughts are from spiritual beings who are guiding or influencing you consciously or subconsciously if you're not yet consciously aware of that guidance coming in. Being present in mindful is then supportive in helping you to tap into the next energetic influence, which is a massive opportunity for your spiritual growth, development, and for making progress on your personal path of spiritual initiation. When you prioritize your spiritual practices and make the time for meditation, you're able to access deep soul wisdom. Allowing the past gifts and strengths of your soul that you've developed across lifetimes to reemerge. Simultaneously, you're able to develop areas you haven't mastered yet on a soul level, developing and advancing your subtle psychic senses and stepping into more of what's truly possible for you as you expand your consciousness and tune into the higher levels of awareness that are available. So to make the most of this potential for spiritual growth, staying present and aware in the moment is key as is prioritizing time for spiritual practice. By consciously slowing down and becoming aware, so much more of what's available to you can emerge. Finally, the seventh key influence of 2019 is big new opportunities appearing for you in your life. So these opportunities both come up out of nowhere or align as a result of your presence and spiritual practice… Based on the steps you're taking. Either way, remember to weigh the new opportunities that unfold for you against what is your highest intention, and know that when you continue to return to center, continue to return to your authentic vibration, continue to return to your authentic truth… This is going to help you in staying in alignment with the highest possible timeline for your personal growth, for your spiritual growth for your ascension. And one of the most simple ways that you can ensure you're staying aligned with your authentic vibration, is to follow your bliss. Allow yourself to follow your excitement, follow the joy of your inner child and that spark of what intrigues you, what sounds interesting, and what you're curious about. This doesn't mean that you're only to do things that you love and enjoy in your life. Because sometimes there are challenging things that you need to do in order to progress. For example, maybe you don't yet enjoy meditation, maybe it's a struggle, but you know, deep down that it's going to help you… Do that, and then at the same time, pay attention to what is effortless for you. What is creatively fueling you? What are you inspired to do? And so do both what you know will benefit you, but it's challenging or you have some resistance around… And then also make it a point to do the things that you are really excited about and enjoyable to continue to move on this path of awakening in alignment with your highest timeline. When you do this, you come into alignment with your highest authenticity, and you naturally align with more of the blessings that are available to you … With more of your soul gifts and truth rising to the surface. And you’re able to tap into the growth, development abundance, love, and fulfillment that is possible for you this year. Keep showing up in the present moment. Stay centered, stay open, stay positive and ask for help. You are so supported by your team of guides and angels and accessing that support and guidance can be developed to a greater extent this year. You can tune into it to a greater extent, and through this you’ll have access to powerful support that's just going to help you in further stepping into, blossoming, and coming into the truth of the Divine Being you are in physical form. And through tapping into the growth and development both physically and spiritually there is immense opportunity your divine self-expression in alignment with your authentic truth and the highest level of divine love. I hope this is helpful for you. I wish you a truly blessed joyful 2019! Spiritual Meaning of An Eclipse~ Why Are Eclipses Significant?